US Government economic sanctions have a hundred-year long history in US statutes and court cases, starting in 1917 when the US was at war with Germany. Trading with the Enemy Act was what the first statute was called. It was clear then who the enemy was, and there was a shooting war in the Atlantic and in Europe to prove it. Many US wars later, most of them for reasons which turned out to be lies, US Government sanctions have been endorsed by the American courts as a defence against an attacker whose method always included the use of force. But not now. 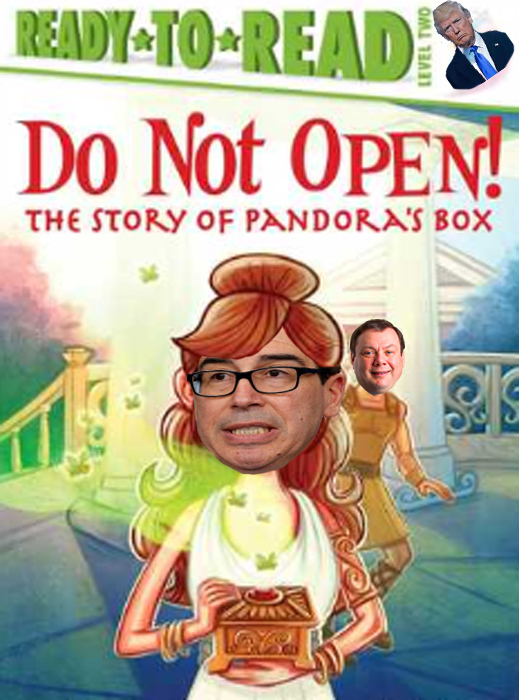 On Friday April 6, the US Treasury, headed by by Steven Mnuchin (lead image, centre), introduced a new type of economic sanction; read the official announcement. For the first time, the individuals and companies targeted have no record for using force, and there is no evidence of their intention to use it. Instead, they are accused, and by the new sanctions punished, for things which American citizens have the constitutional right to exercise – the freedom of association and the freedom of expression. The Russian targets of the new sanctions, announced Mnuchin, are proscribed for the full range of economic sanctions because of their association with the Russian government, and because they are Russians doing business in Russia. “The Russian government operates for the disproportionate benefit of oligarchs and government elites,” Mnuchin said, stamping his foot where Karl Marx, Vladimir Lenin and C. Wright Mills have famously trod before. “The Russian government engages in a range of malign activity around the globe”. Ergo, a Russian businessman associating with the Russian government and growing rich is a threat to the equitable distribution of income and capital in Russia; ergo, he is a threat to the security of the United States. Never before has Russian capitalism been declared an enemy of American socialism, and forbidden to borrow, lend, own or trade with Americans or the US dollar. Mnuchin implies the Russian energy sector is a “malign activity”. For evidence, he says a Russian criminal prosecution is under way of bribery to rig provincial electricity rates in which two Vekselberg company executives have been indicted and imprisoned in Moscow. Mnuchin doesn’t mention the criminal and civil proceedings under way in Russia, and also in New York, involving other Russian energy utilities, whose controlling shareholders include Russians like Mikhail Prokhorov and Leonid Lebedev. Prokhorov’s New York assets and Lebedev’s New York bank accounts and California residence are not malign by the new Mnuchin standard, so they aren’t sanctioned. For their US stories, click for Prokhorov; click for Lebedev. 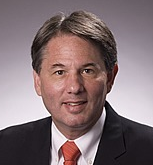 Marks led the way in the US courts to prosecute Russian oligarchs under the US laws against conspiracy to defraud; his casebook includes racketeering lawsuits involving Oleg Deripaska (Rusal), Vagit Alekperov (LUKoil), Alisher Usmanov (Metalloinvest), and Mikhail Fridman (TNK, Alfa – lead image, between Mnuchin and President Donald Trump). For details of these cases employing the Racketeer Influenced and Corrupt Organizations Act (RICO), open the archive. Court challenges to sanctions have succeeded in the UK and in the European Union (EU), where the target was an Iranian bank; click to read. In Canada in 2014 there has been the successful case of two Russian banks overturning their sanctions designation because of a mistake by officials in Ottawa who got the names of their targets wrong. The only British and EU court challenges to sanctions against Russian oil companies and banks have been dismissed. Rosneft and other Russian corporations which have tried to litigate have lost confidence in their own lawyers, as well as in the independence of the courts from political pressure. In the US there have no court challenges by a Russian since sanctions began with the Ukraine civil war in March 2014. The reason, US legal experts say, is that American judges are very reluctant to challenge the presidential power to conduct foreign, defense and security policy, and to sanction foreigners as threats. In 2015 the US Court of Appeal and the federal District Court in Washington, DC, issued rulings to spell this out. In one of the cases, a Peruvian, Ferdinando Zevallos, accused of being a drugs trafficker, challenged the legality of OFAC’s sanctions against him. At the time he was in prison in Peru after a drugs conviction there. The second case was an appeal by a Ukrainian company against the blocking of a financial transaction through a US bank with a sanctioned Belarusian oil trader allegedly connected to the Belarus President, Alexander Lukashenko. In both cases the US lawyers sued OFAC under the procedure in the US Code known as Section 501.807. 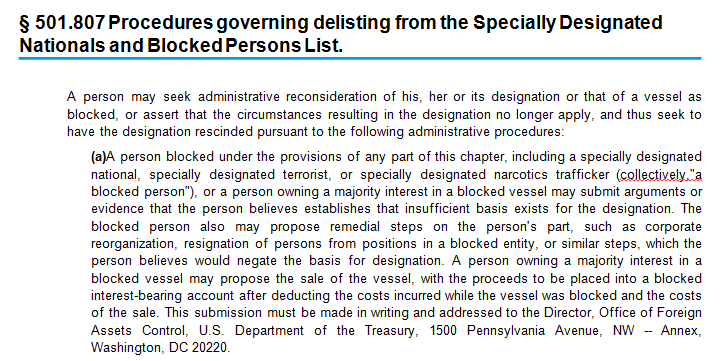 This allows sanctioned individuals and organizations to apply to OFAC for disclosure of the files, for a review of the evidence used to justify the sanctions, for a statement of reasons, and for de-listing. The judges added they were not required to verify whether the government’s evidence against Zevallos was the truth. Instead, they said they would accept that there was a “rational connection between the facts found and the choice made”, and that there were sufficient grounds for OFAC to have decided as it had done. That Zevallos had already been convicted in Peru of the crimes for which OFAC had designated him for US sanctions was the clincher. “Matters of strategy and tactics relating to the conduct of foreign policy,” according to Kollar-Kottelly “are so exclusively entrusted to the political branches of government as to be largely immune from judicial inquiry or interference…. 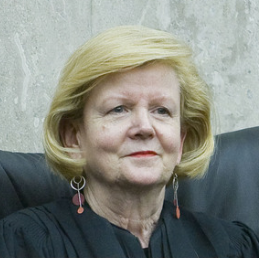 Accordingly, the Court cannot conclude that OFAC exceeded its statutory authority by continuing to block the funds in question.” Before she took her seat on the federal district court, Kollar-Kottelly was chief judge of the most secret and deferential of the US courts, the Foreign Intelligence Surveillance Court. US legal experts believe sentiment in Washington is now running so high against Russia, and the evidence required by OFAC so little, it is unlikely any judge would sustain a Section 501 challenge from one of the Russians sanctioned last week. Russian political analysts comment that it’s now up to President Vladimir Putin to decide whether the sanctions are acts of economic warfare and strike back. Advisors telling Putin publicly not to retaliate, and to seek special deals for selected oligarchs, are led by Alexei Kudrin, a former finance minister sacked in 2011 by then-President Dmitry Medvedev; Kudrin is hoping Putin will appoint him in Medvedev’s place next month. 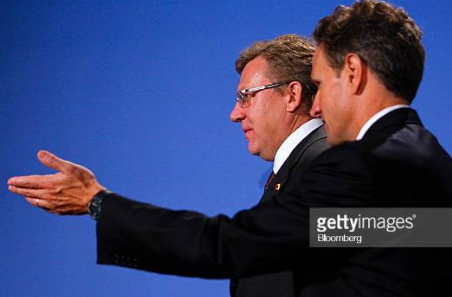 US Treasury Secretary Timothy Geithner leads then-Finance Minister Alexei Kudrin at the Pittsburgh economic summit conference in 2009. Marks says that Russians on the list of oligarchs published by the Treasury on January 30 may be able to persuade the Treasury against designating them in future. For that list, and the story of Mnuchin’s selectivity, read this. “It’s possible to deter OFAC from future designations by providing information on why sanctions would be inappropriate,” Marks advises.